Ken Carrig retired from Corporate Executive Vice President and Chief Human Resources Officer for SunTrust Banks, Inc. in February, 2017 and is President of KJC Advisory Services, a firm providing advice on issues related to strategy execution, acquisition integration, and executive succession planning. In his CHRO role, he oversaw human resources strategy, talent management, merger integration, compensation, benefits, staffing, human resources systems/payroll, compliance, SunTrust University, and leadership development. Ken helped lead a significant transformation of the company and helped create a powerful purpose that engaged the entire teammate population. SunTrust market cap grew from $14BN to $25BN during this 6 year term, and efficiency ratio improved by over $1 billion from 72 percent to less than 62 percent. 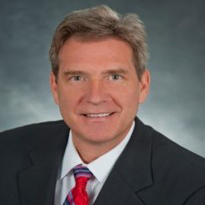 Prior to joining SunTrust in June 2011, Mr. Carrig was Executive Vice President, Chief Administrative Officer with Sysco Corporation for 10 years overseeing Strategy, Operations, Merger & Acquisitions (35 acquisitions completed), Communications, Legal, and HR. He also led Human Resources for Comcast, Continental Airlines’ turnaround and PepsiCo during his 30-year human resources career. Mr. Carrig earned his undergraduate degree in Labor Economics from Cornell University, and participated in executive development programs at Columbia University and Yale University. He was a member of the advisory board of the Cornell Center for Advanced Human Resource Studies, a National Academy of Human Resources Fellow (2004), and was named the Academy of Management Distinguished Human Resources Executive (2010). He was also a member of the advisory board of PearlHPS, a predictive execution analytics software company. He also co-chaired the Board of Operation HOPE and served on the Board for Atlanta Botanical Garden. Mr. Carrig co-authored the book, “Building Profit Through Building People” in 2006, the proceeds of which benefit Share Our Strength, an organization dedicated to fighting childhood hunger. In addition, Mr. Carrig has led Business Strategy and Leadership Development Programs at Darden, Cornell, Emory, and USC.